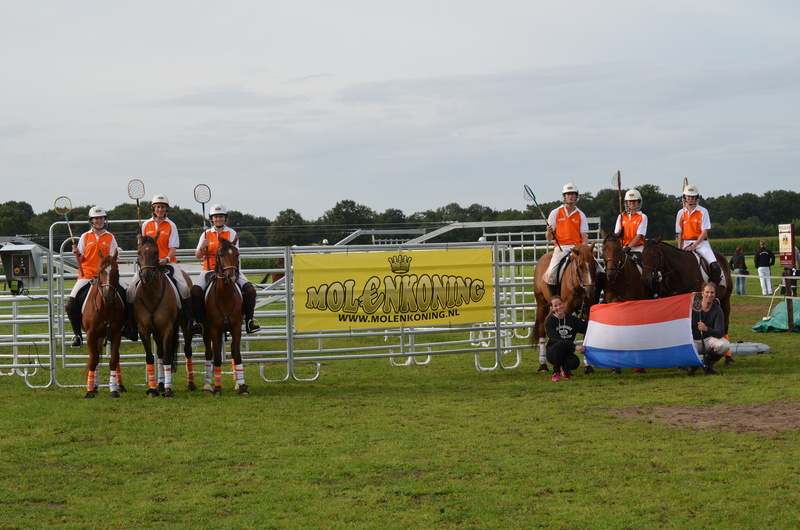 In the last weekend of August the Dutch Polocrosse Association hosted the European Challenge in Otterlo at Peppelenburg. The four Nations Germany, Norway, France and Holland had their competition, but also there was a “B”-level competition as part of the yearly Dutch Open. In total 42 players joined the competitions. Although there was a slight downpour Saturday morning, the weather was very good, and the ambiance was super. Overall winner of the European Challenge was France, Holland came second, Germany third and Norway came fourth. Everybody could ride his or her own horse except the Norwegians. These horses were rented and only played horseball before. Through sponsoring of Bomber two special prices were offered, best overall male and female player. These prices (Bomber Sticks) were won by Francois Méziéres and Nathalie Garben. 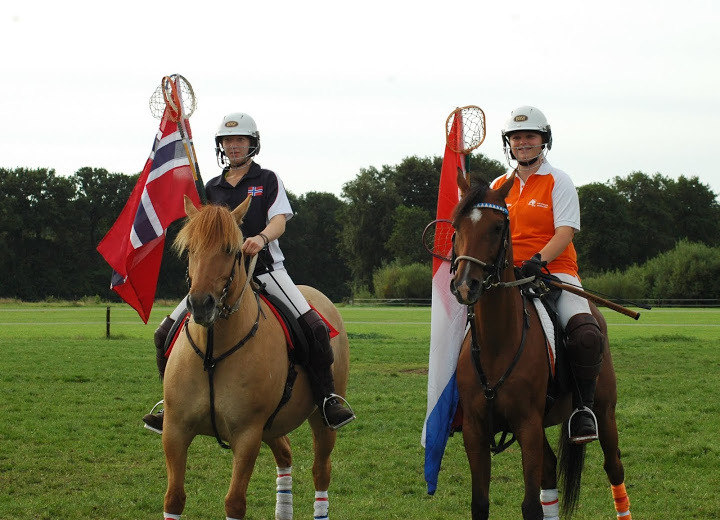 Michel & Barbara Beaufils: We are very happy the way the Dutch organize their tournaments.. After a long ride with horseboxes, you put your horses in a pre-arranged paddocks and everything is supplied for.The Dutch organizers hosted around 45 players in both tournament categories, European Challenge and Club Tournament. 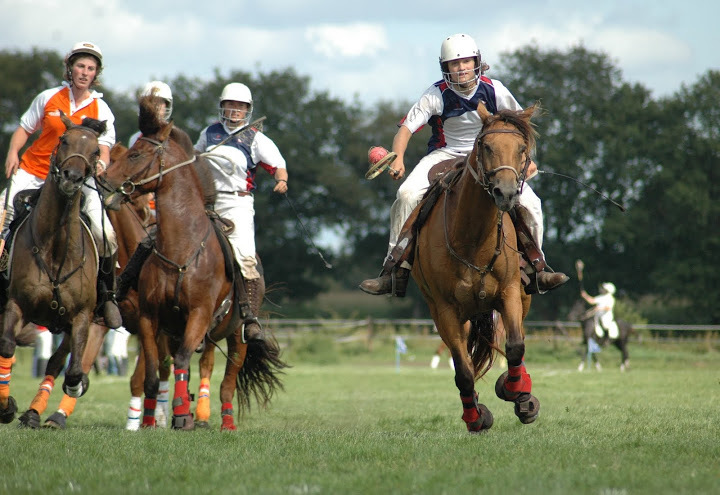 The players varied in age from 10 to 56 years of age and there was a variety of styles, horse breeds, a very friendly mix of people from all over Europe. Camilla Blom: Thank you so much to everyone in Holland who made this such a great, fun and memorable weekend at the European Challenge/Dutch Open!! The Norwegian girls really appreciate everything you have done for us! 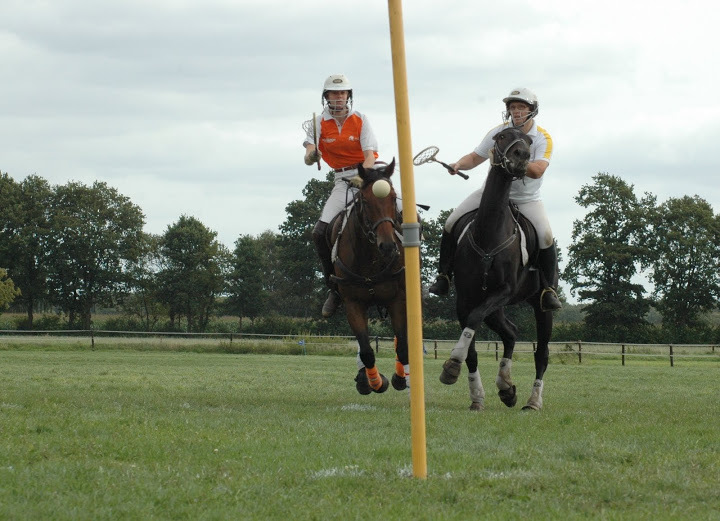 Katherine Gilbert: Would just like to say a massive thank you to everyone who organised the tournament, it was amazing, we are all being very polocrosse-ish today,talking of nothing else but the tournament.